We at Chandigarh Hair Transplantation, specialize in Hair Transplantation, Hair Loss Treatment, FUE Hair Transplant. Dr Rahul Goyal (M.S, M.Ch) is the concerned Plastic Surgeon over here. 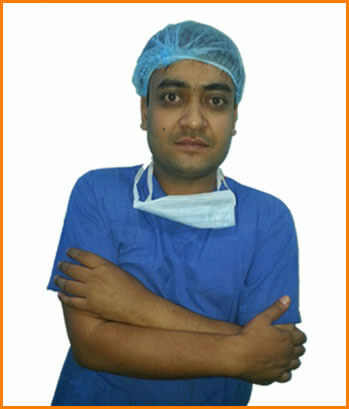 Dr Rahul Goyal has a very successful record of academic achievement from BJ Medical College. He earned his MBBS, MS (Surgery) from PGI Rohtak and M.Ch in Plastic Surgery from BJ Medical College, Ahmedabad. organized by Prime Time Media Awards. We offer FUE hair transplant in Chandigarh at lowest cost. We provide Hair Transplant to cure male pattern baldness. Our hair transplant cost is affordable. We provide Women hair transplant and hair loss treatment. Women lose hair the same way men do. I am from Canada. 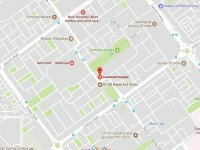 I searched for Hair Transplant surgeon from there. I get my procedure done by Dr.Rahul Goyal. Nearly 5350 hair graft units were transplanted in a single day !! I was really amazed! Even in mumbai I was told that it would take minimum two days.. I am very happy with the result. I would say I am totally satisfied with doctor . Was scared before coming , had lots of doubts since they were new, confused but finally met the Dr. Rahul Goyal very young and energetic but quite confident and experienced and most important thing I was scared in the middle of the surgery and he assured me there would not be pain and I m happy that he did it. Satisfied with my procedure, very supportive Doctor, Had great time while on procedure with no pain. Very good follow up after procedure, Made me very comfortable. I am very happy with Dr. Rahul Goyal and will definetly recommend to my friends. I am ,Manish had baldness & had tried various oils – medicines etc. but without any results. I search for better hair transplant surgeon. I have visited quite a few of them in Surat, Ahmedabad & Mumbai but I was satisfied the way in which Dr. Rahul Goyal explained me in detail the planning & procedure of hair transplant keeping in mind my future probable hair loss.